The weather here today is grey, damp and quiet. Can weather be quiet? I believe so. I don't even hear the birds today. There's one lone woodpecker at the feeder right now. I was looking out the window at the garden, dull and dying when a shot of pink caught my eye. What on earth? It can't be. Sure enough, when I got out there I saw the very last rose beaming in all it's beauty. I wish I could describe the scent to you, it's amazing. I like to think that the garden left me a parting gift. One last flower until the spring. Thank you. 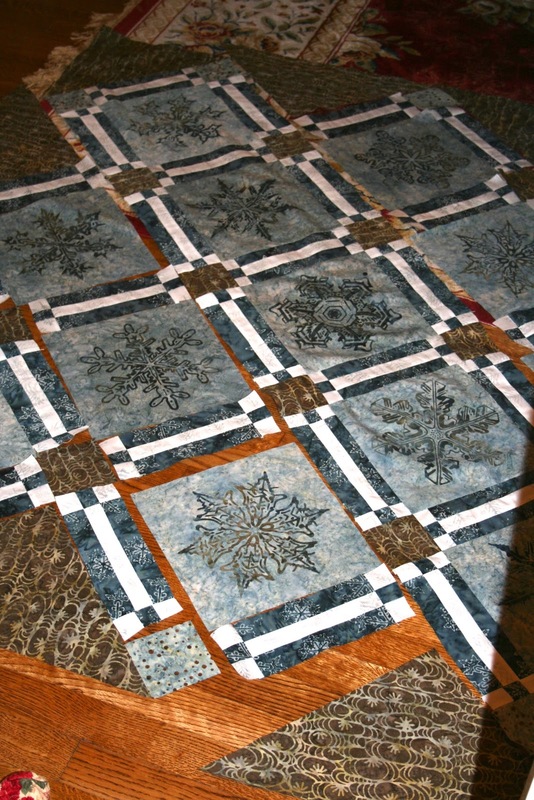 I started sewing the rows together on my "Let it Snow" quilt yesterday. It's coming along nicely. The last Christmas quilt for this year almost done! Your quilt is looking so good! Beautiful rose. What a gift God gave you with this. Have a blessed day! Your quilt is absolutely beautiful! How special. I love how God sends the little things into our days. Your quilt looks lovely too. Such a beautiful rose. Yes, I do believe it was a special gift to you for taking such good care of your garden. I don't know about quiet, with the 6 kids in the house in our front yard and the horse, chickens and turkeys in our side yard. LOL. Glad you are havin a quiet one though. Love your quilt. 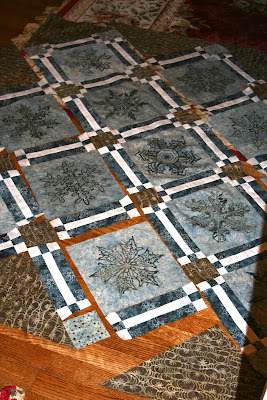 I would love time for a Christmas quilt, but am working on a special order one. Thanks for sharing your special rose...I can almost smell it too. Yeah, I know what you mean by the weather being quiet, I like those days!! That is so amazing that there was one last rose left. It looks beautiful!! Good start on your quilt, it looks very nice so far!!! 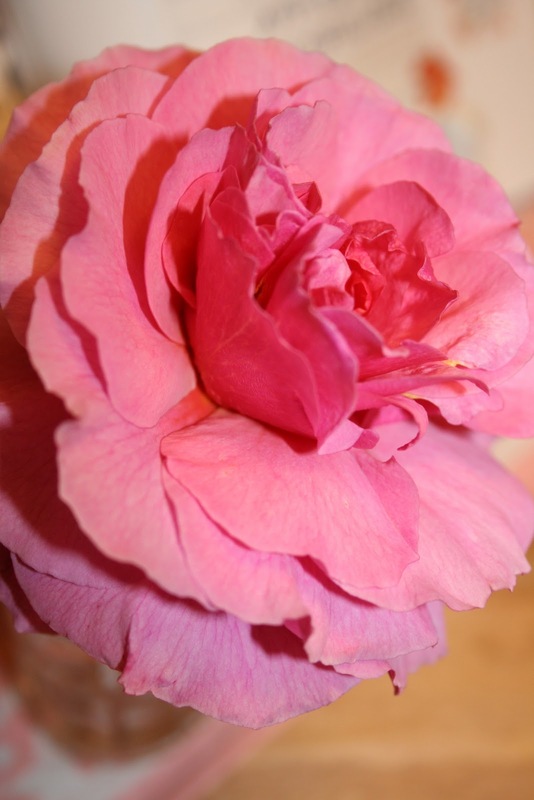 I can't quite imagine a climate without flowers all year round - we had roses right through winter. 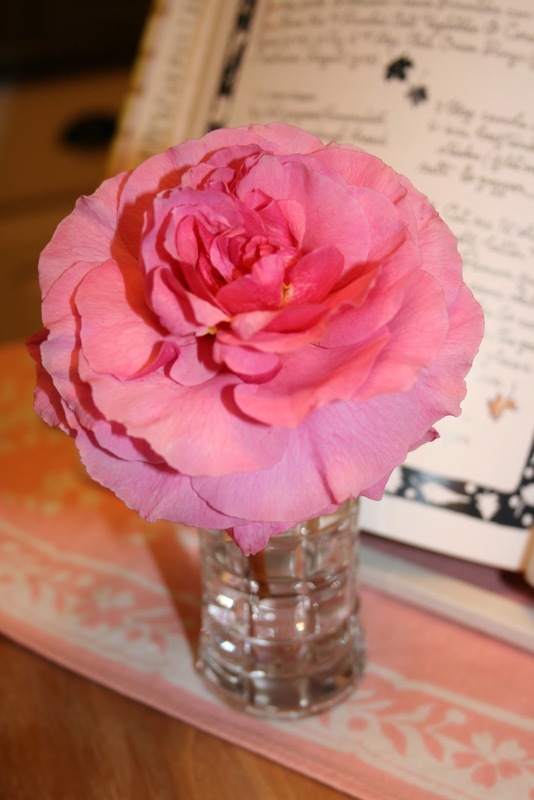 What a wonderful gift, a beautiful scented rose as both a farewell and a reminder that the flowers will return. When I was on my walk today I was surprised to see dandelions in bloom, but your rose is so much prettier!! Your quilt is looking great! The rose is beautiful and so is your quilt, it is stunning.